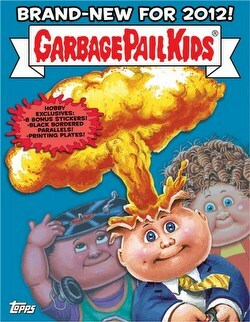 The Garbage Pail Kids Brand New Series 1 set includes 110 new stickers. Inserts include Adam Bomb Through History Stickers (10 different historical settings), Motion cards, Sketch cards (hand-drawn by GPK artists), Mix'N'Match Stickers (peel the body parts and make your own characters), Black-Bordered Parallels, and One-Of-A-Kind Printing Plates. 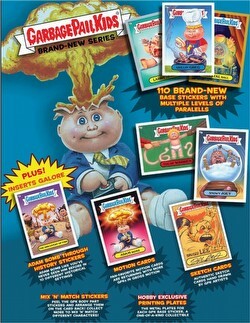 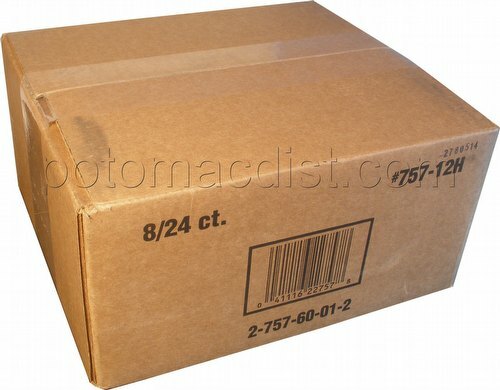 Collectors can also look for golden tickets in packs for a chance to become a GPK character in an upcoming series!